Summer is grilling season for the Thompson family! 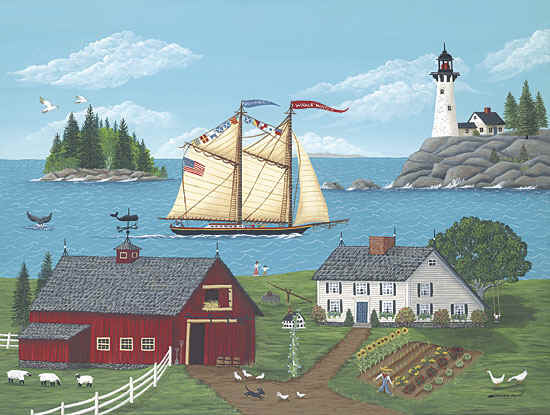 We make the best of the short northern Maine summer season by spending as much time around the pool and the gas grill as we can. On the weekends we are entertaining cooking out by the pool and that means grilling, and grilling means pork back ribs. We’ve perfected grilling delicious pork back ribs on our gas grill to an art form. You don’t need a fancy custom smoker like the professional Pitmasters use in their competitions (although I sure would love one). 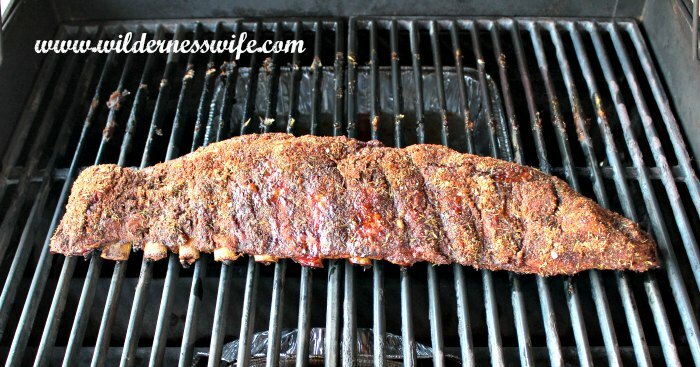 Using a gas grill to cook your pork back ribs is easy and fun and I will show you step by step just how we do it. I’m off to Walmart do some Pool Party Shopping! I found everything I needed at Walmart including a couple of new pool noodles so now its time to head home and get the grill ready for Pool Day! 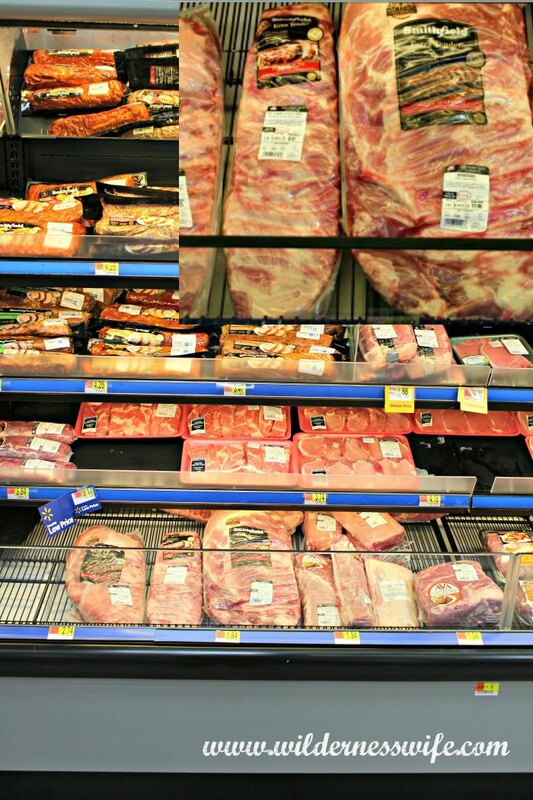 Walmart had a great selection of Smithfield® pork products that are a surefire hit for barbecue. I grabbed a couple of beach towels (you can never have too many when having a pool party), and some potted fresh herbs for my kitchen windowsill. Now its time to get ready for some thrillin’ grillin’. 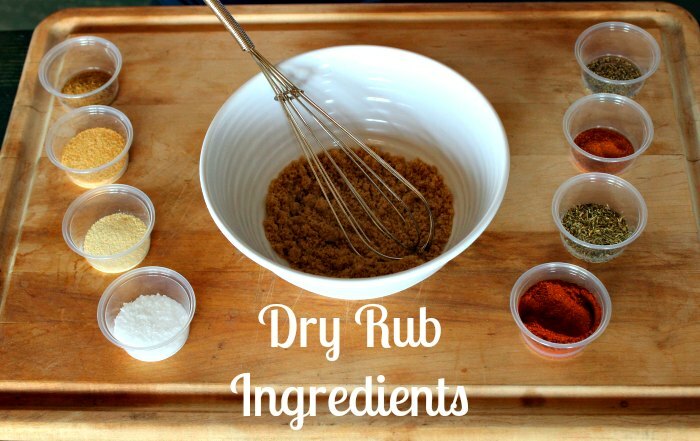 Let’s make our Dry Rub for our Barbecue Ribs! 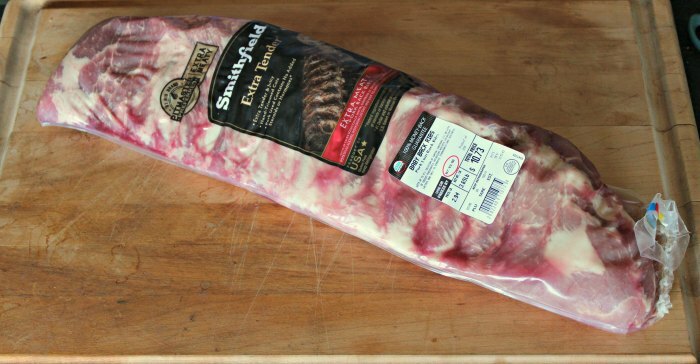 Time to prep our Smithfield® Extra Tender Pork Ribs for the grill. We are going to be doing a dry rub so we want to get the ribs coated and then let them rest in the fridge for at least a couple of hours. 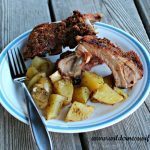 I make my own rub using a number of spices and herbs along with brown sugar. Quantities are listed in the recipe at the end of this article. First I slather mustard all over the ribs. I am using the your basic yellow mustard here but I do often experiment trying different mustards including Dijon and coarse ground mustard. That’s the fun of barbecue! Once you get the hang of the basic idea you can try different things to make it your own. Next sprinkle the dry rub onto the ribs. You will develop your own preference as to how thick you want it but try to get as uniform coverage as possible. Make sure the ribs are thoroughly covered. 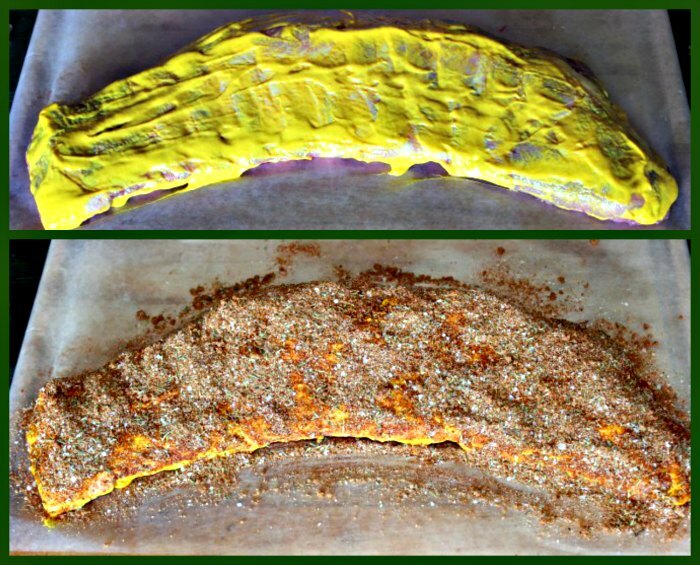 After the ribs are coated with the dry rub, I cover them loosely with waxed paper and let them rest in the fridge while we get the gas grill ready. I usually allow 2 hours for the spices and mustard to blend with the meat in the fridge but you can go up to 4 hours. 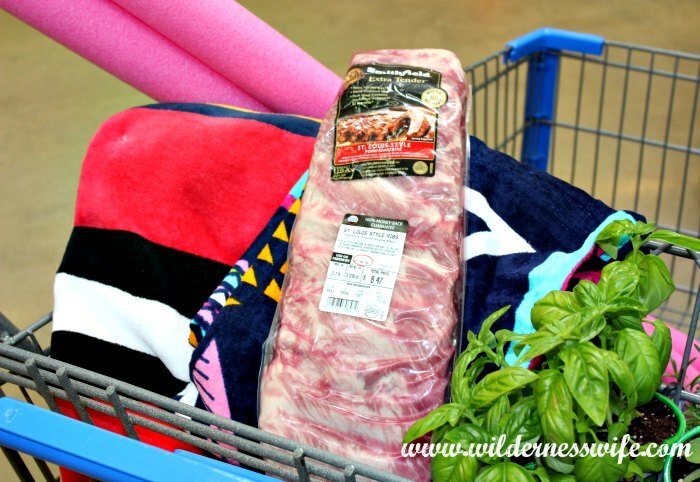 It’s time to get our “Heat Source”, the gas grill, ready for our Barbecue Ribs! Grilling Pork Back Ribs is easy on the gas grill. There’s no need for fancy equipment, just a little ingenuity. Step one is get the wood ready. That’s right ….wood! Even though we’re cooking on a gas grill, we’re going to need some wood to impart that delicious smoky flavor. 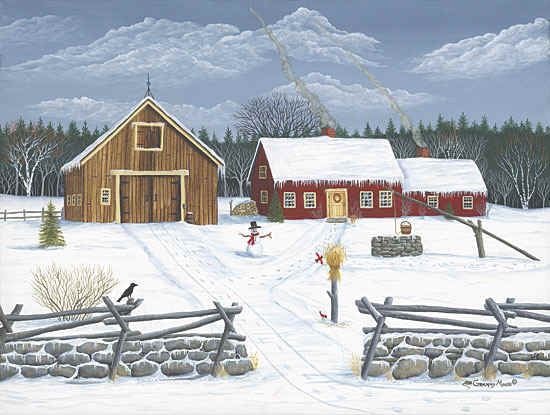 There are a number of woods that you can use – hickory, maple, oak, apple, cherry, among many. Stay away from the wood from conifers like pine, spruce, fir as the smoke from a conifer will tend to be bitter and more chemical. My personal preference when it is available is apple because the smoke is sweet and so aromatic. And for me apple wood is readily available! 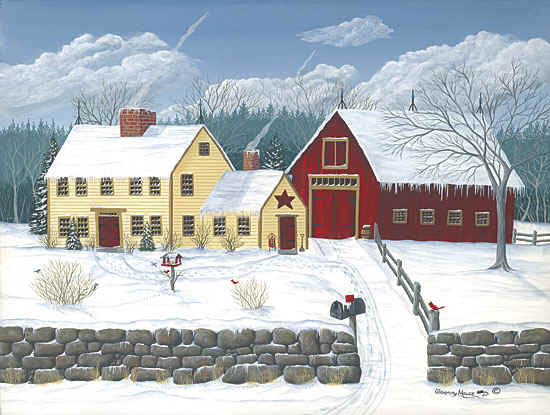 I am lucky that we have lots of apple trees here on our property and they always need pruning. 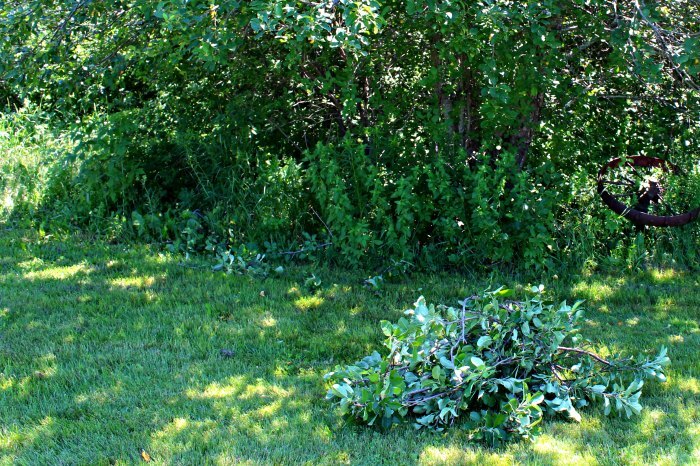 I trim the leaves off the branches and cut the wood to length. The wood is freshly cut (“green” as they say in the world of fire wood) so it contains lots of moisture. That’s perfect for our application as dry wood wouldn’t smolder as much and might even ignite (don’t want flame!). If you have to use “seasoned” wood (wood that is dried out) whether whole or chips, be sure to presoak the wood in water for at least 2-3 hours before you use it. I’ll be cooking by an indirect heat method, nice and slow and low! 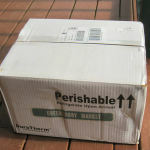 Our grill has 3 burner zones so we will be putting the ribs to the back of the grill and only lighting the front burner. The goal is to maintain the heat at the 225F. Setting a pan of water on the back burners helps maintain the heat at a constant temperature by providing a thermal mass. 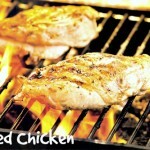 The water isn’t necessary to provide moisture to cook the meat, only to help control temperature. 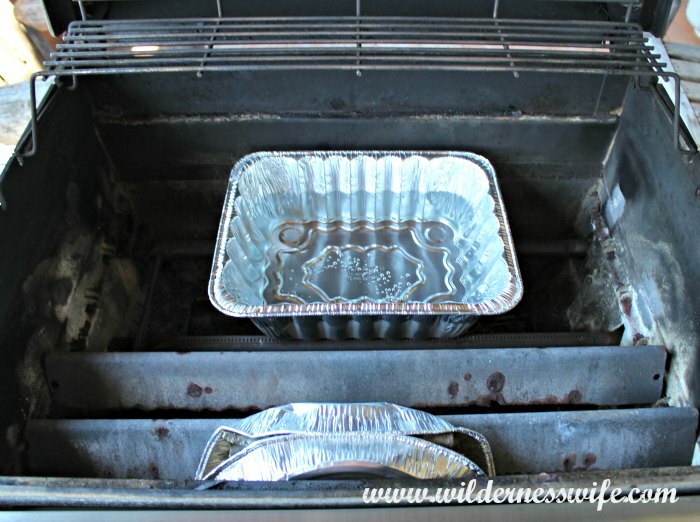 The pieces of apple wood are put into an aluminum pan that is folded up and tucked in the front of the grill. The heat from the front burner will release all the aromatic properties of the wood as the ribs cook. Don’t expect to see a lot of smoke because if things are going right the smoke will be almost invisible. Lots of black smoke means the wood is scorching or even igniting. Black smoke contains lots of tars and other chemicals that are not what you want to flavor your meat. 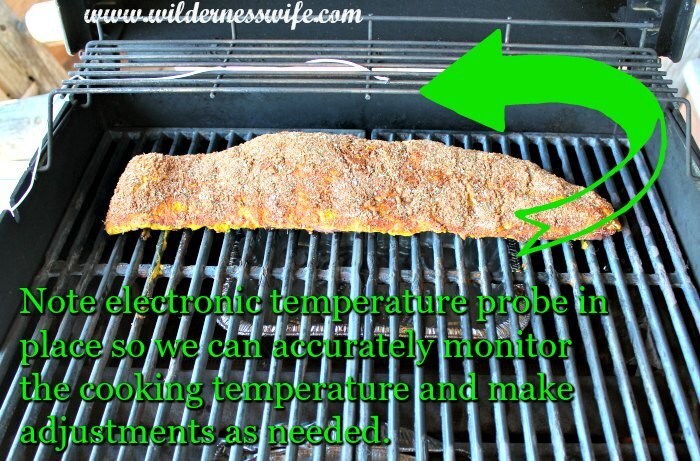 I use a digital temperature probe in the grill as it is important to keep a steady, consistent temperature. Turn on the front burner on its lowest setting. When the grill is up to heat we carefully lay the ribs to the back where they will only receive the low indirect heat and flavorful smoke. Direct heat would cook them too quickly and make for a tough final product. Slow cooking allows all the fat and connective tissue to break down providing the meat with juicy moisture and making for a melt in your mouth tenderness that is just heavenly. This is not a quick process so start it early in the day. The ribs will be slowly grilling for 4-5 hours. Resist the urge to open the grill. You can monitor what is going on inside by checking your temperature probe. If the heat rises above 225 you can make adjustments by briefly opening the grill and adding more water, or tightening down on the valve on the gas bottle to restrict the fuel flow to the flame even more. So now the ribs have been cooking with the smoldering apple wood and its time to test for doneness. There are 3 ways to test for doneness. 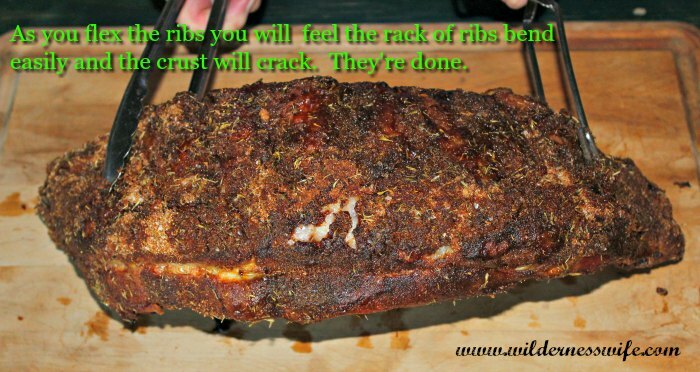 Appearance – The rack of ribs will have noticeably shrunk lengthwise. And some of the meat will have pulled back from the bone. The color will be a nice mahogany brown as the spices and brown sugar will have caramelized. Flexibility – If you grasp the rack of ribs at each end with tongs, it will easily bend in the middle and the caramelized surface will crack. Now tent them with foil and let them rest while you get all the sides on the table. Coleslaw is always a good choice to go with any type of barbecue and with this set of ribs we are having some microwave herbed potatoes. Enjoy the day just like I did after cooking these great ribs. 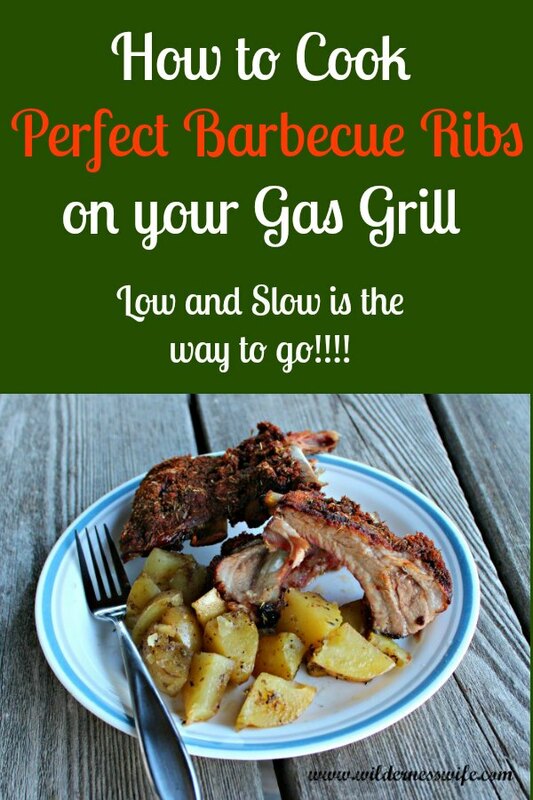 Low and very, very slow is the key to cooking great barbecue ribs!! Remember patience is a virtue and you will be rewarded with lots of compliments on what a great Pitmaster you are when your Smithfield® Extra Tender Pork Back Ribs are sampled. Ready to be a Barbecue Pitmaster. 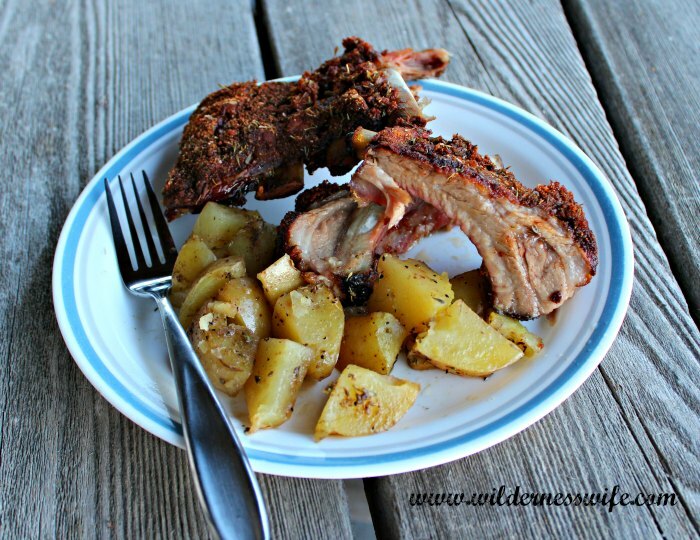 With this recipe you will make the best Barbecue Pork Back Ribs you ever tasted! 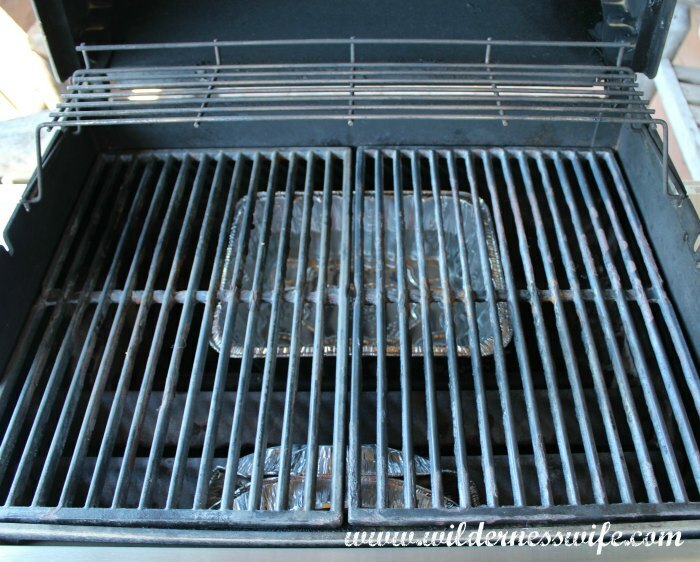 Prepare gas grill according to tutorial above. Preheat to 225°F. Thoroughly combine brown sugar, spices and herbs in bowl with whisk. Coat meat with yellow mustard. Sprinkle on dry rub spice mix. Coat evenly. Place ribs on grill and close grill cover. Cook for 4 – 5 hours. Keep grill closed and only open if necessary. Remove ribs from grill when done and tent with foil for 10 minutes. I love the way the ribs come out oh so juicy and tender! Glad you had fun with the recipe! OMG this looks so so so delicious! How yummy.I think we need to try this ourselves. I’m vegan but my boyfriend isn’t and he loves ribs. I’ll definitely be passing this on to him. This looks mouthwatering! Yum! We’ve never tried cooking it this way before. Perfect recipe for an outdoor fun! I’ve never actually cooked anything on a BBQ or grill before! But this is so useful for if I do decide to do it one day! I really like that dry rub recipe. It sounds fantastic! Now this is my kind of dish, It looks yummy and delicious. Loved the twist you’ve done on our favorite part of meat. Thank you for sharing this great recipe. I am a sucker for a good summer BBQ. These look soooo good! 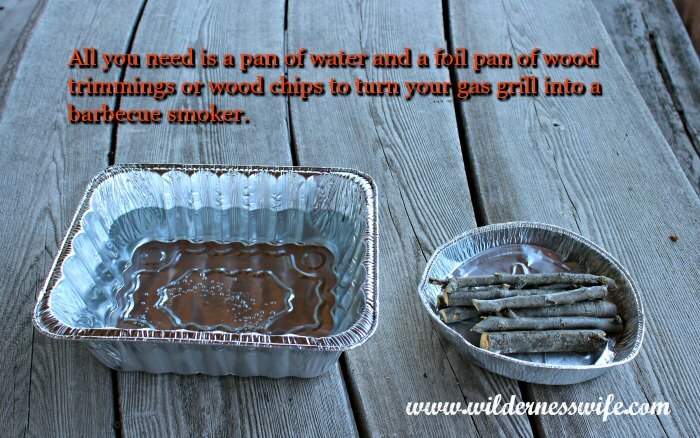 Actually, I’ve always found it quite hard to grill my meat on gas but this is such an idea. I love the preparation of the pork ribs and eventually, it looks as yummy! I will try something similar this weekend. I’m craving it so much now! Lots of useful tips to grilling. Will definitely be using them when I grill next time. This post made me drool a lot. We don’t get pork ribs in India but finding it in restaurants is not hard. Thanks for sharing your recipe! The pork ribs looks delicious! I’ve heard great things about Smithfield! I love cooking up ribs on the gas grill! These sound delicious! Oh yum, This look SO good. 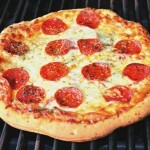 We grill a lot during the summer, so I’ll be trying this for sure. I’m hungry now.